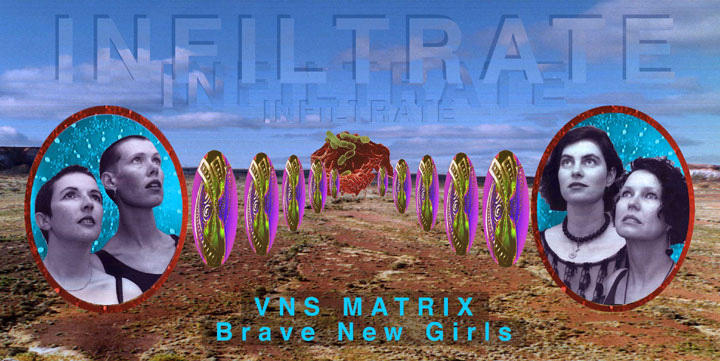 VNS Matrix was an Australian feminist artist group who were active from 1991 to 1997. Our activist practice was concerned primarily with women’s role in technology and art, specifically taking issue with the gendered dominance and control of new technologies. We also explored the construction of social space, identity and sexuality in computer games and cyberspace. vns matrix: Josephine Starrs, Julianne Pierce, Francesca da Rimini and Virginia Barratt.